Chic, sleek, and so unique! 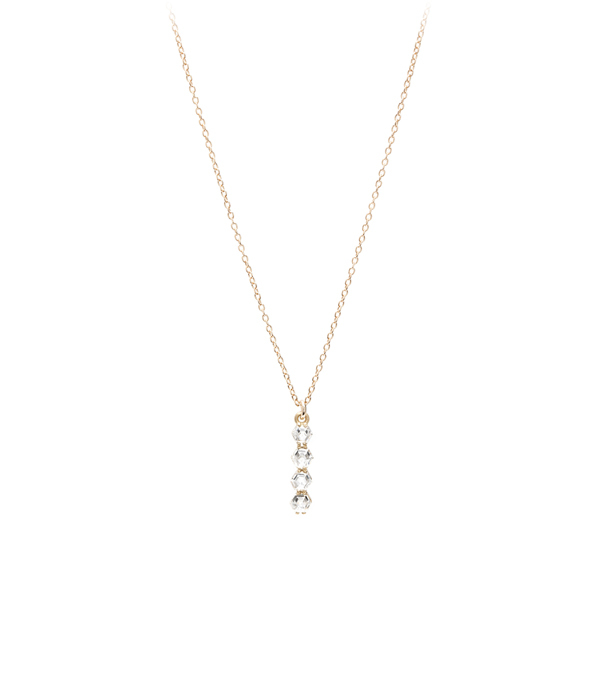 One of our most remarkable pieces, this diamond bar necklace stands apart from the rest. 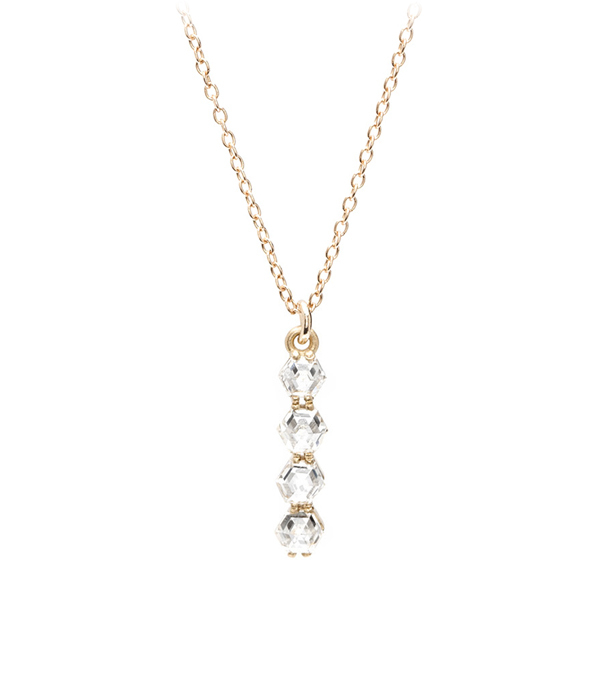 Set with four unique rose cut hexagon diamonds (0.68 ctw) this necklace sparkles like no other. Pendant hangs from tiny cable chain, 16″. A hint of deco styling is reflected in the stone’s crisp step cuts and angular design. This necklace speaks our kind of geometry!